This has been a literal labor of love! I have tested recipes from every major recipe source and have not been able to find the one I considered to be perfect. My ideal recipe is one that is perfectly domed, that has the right amount of chocolate, that has a light and moist crumb. Look no further… this is the BEST Chocolate Cupcake Recipe! What makes this recipe different? Two ingredients that are not the “norm” in most chocolate cupcake recipes; sour cream and real melted chocolate. They do amazing things to this cupcake! 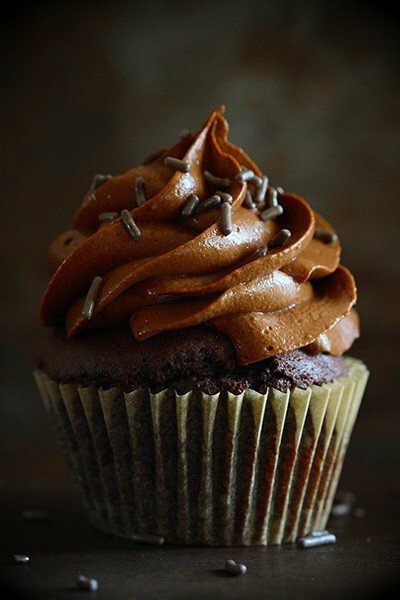 Not only is this the perfect chocolate cupcake, but I think I have found the perfect chocolate frosting. Let me tell you a little bit about why: this is a cream cheese based chocolate frosting which is a perfect compliment to a rich and decadent chocolate cupcake. You get a slightly enhanced (amplified) chocolate flavor with the frosting that is then paired with a natural and pure chocolate cupcake. I was surprised at how well this frosting held up to being piped. It holds its shape but remains soft, light, airy, and fluffy. Here is a little video on how I did that! If you have my book, Surprise Inside Cakes, you know that my chocolate cake recipe uses sour cream. 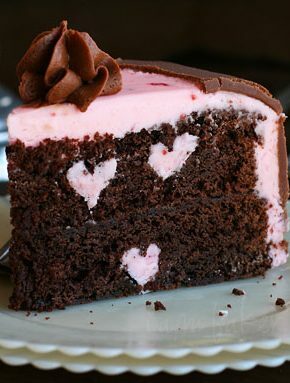 I am a big fan of Sour Cream Chocolate Cake and love that I was able to incorporate it into cupcakes. I also love how thick it makes the batter; you can scoop it with an ice cream scoop and every single cupcake will be perfectly proportioned. The better quality ingredients you use, the better your cupcakes and frosting will taste. Try for room temperature ingredients when making these chocolate cupcakes and chocolate frosting. 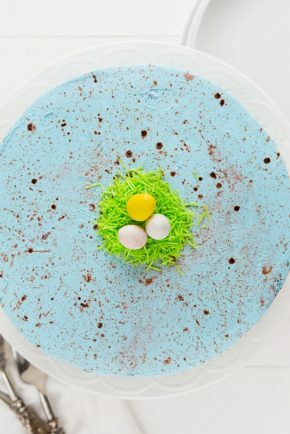 Is it the same as my Best Chocolate Cake recipe? NO! Chocolate cakes and cupcakes are different in terms of chemistry. They bake for different periods of time in different qualities and the recipe needs to reflect and adapt to those changes. It is best to use a cake recipe for cakes, and a cupcake recipe for cupcakes. This chocolate frosting is not your grandma’s chocolate frosting. 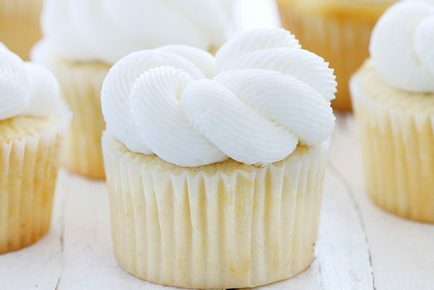 There is a slightly tangy flavor… it is for that reason that I highly recommend it with this specific cupcake recipe. They truly compliment each other perfectly. If you are a true chocolate aficionado, try bittersweet chocolate in the cupcake AND frosting. You will be pleasantly surprised at how much of that pure chocolate flavor comes through. 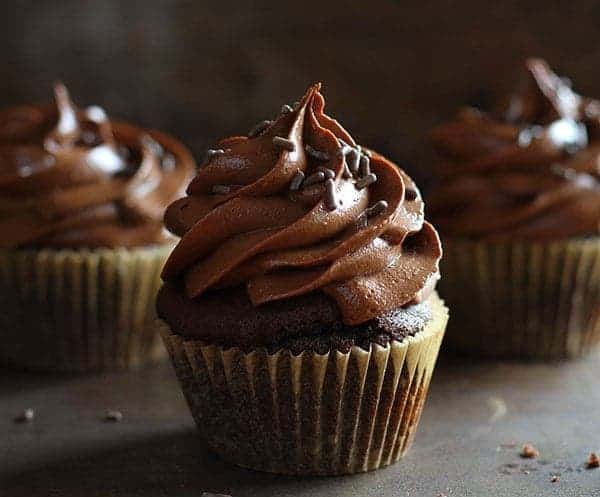 This Chocolate Cupcakes recipe is perfection! 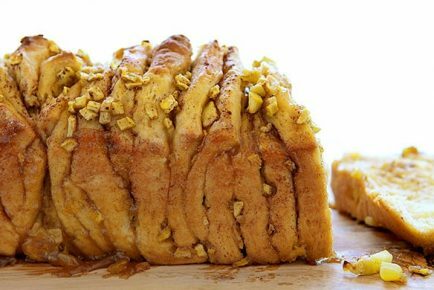 Having this classic recipe in your recipe box is a must! 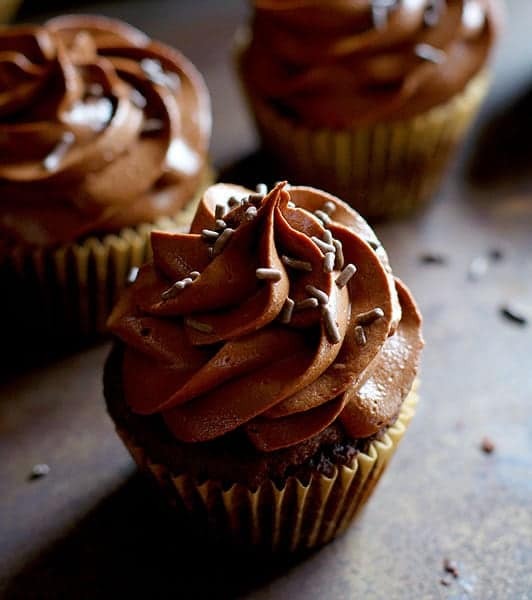 These perfect Chocolate Cupcakes are paired with the most amazing Chocolate Frosting. 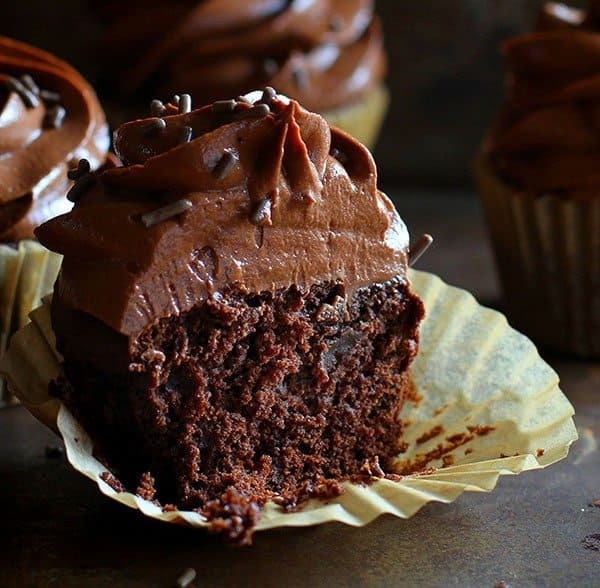 These amazing moist chocolate cupcakes will be your new favorite! Do you have a recipe book that we can order. I am filling up my phone with all your wonderful recipes. That frosting, though. Made these for a coworker’s birthday and we were not disappointed. I had leftover frosting which I refrigerated and then made into truffles…yes queen, I said truffles. Rolled some in toasted almonds, some in toasted coconut, cocoa powder and the winner, peanut butter powder! Hi is something wrong with the recipe pleaseb, because 3/4 of flour is very few . 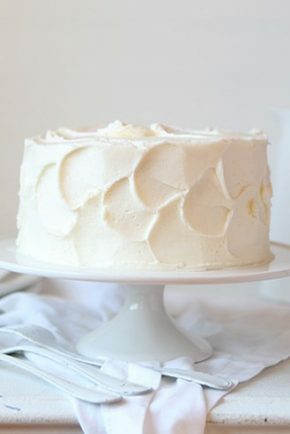 Hi….can you please share yourbuttercream recipe. Hice su receta y me quedaron espectaculares. Gracias por compartirla. 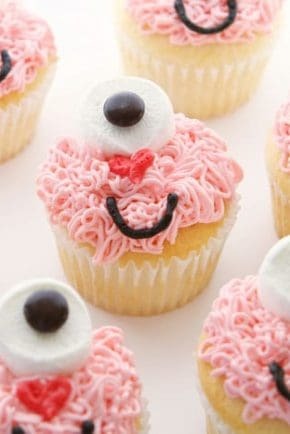 These cupcakes look perfect and taste delicious! However I found the frosting recipe made waaayyy more than was needed for 14 cupcakes (and I frosted them very generously!) Probably could have halved the frosting quantity. So exciting for you to be baking them for her wedding!! Great job Ernestine!